Fox Metro’s Engineering Office is located at 1135 S. Lake St. Montgomery, IL, 60538. Hours of operation are from 7:00a.m. to 3:30 p.m. The mission of the Fox Metro Engineering Department is to improve the efficiency of the department by developing and exchanging ideas, information and technology which enhance the delivery of public services; and by promoting the personal and professional growth of its staff members. One of the major responsibilities of the Engineering Department is to coordinate proper connections to and extensions of the collection (sewer) system which conveys sewage to the wastewater treatment plant. This is done as follows. The Engineering Department provides developers with information and guidance regarding possible connection points, costs, and requirements of obtaining Fox Metro’s wastewater treatment services. Once a possible connection point from the proposed development to the collection system is selected, the Engineering Department prepares a draft annexation agreement for the development to be included in Fox Metro’s corporate boundary and service area. The Engineering Department then provides the Developer with guidance in the preparation of various IEPA and Fox Metro permit applications and required plans. 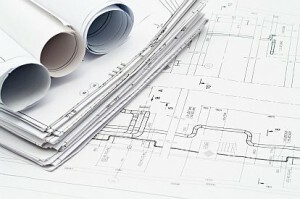 The Developer then submits a set of building and/or street sewer plans, depending upon the project type, for review by the Engineering Department. If the Engineering Department approves the permit application and plans, it then uses a standard rate schedule to determine and collect permitting and connection fees. The standard fee schedule helps ensure that each development pays its fair share for the capacity of the treatment plant that it will use. Once the Engineering Department has issued a permit, the Developer must use a bonded contractor to construct the sewer service connection. The Engineering Department schedules periodic inspection of the construction to help ensure that Fox Metro specifications are being met. The Engineering Department does not allow newly completed sewers to be used until after they have passed various testing procedures. An internal television camera inspection is then done after all testing. The Engineering Department works with Fox Metro’s consulting engineering firm if interceptors, the largest sized pipes of the collection system, need to be extended to new areas requiring service; or when service area growth requires the expansion of the wastewater treatment plant. The Engineering Department also works with Fox Metro’s Industrial Pretreatment Department when connection permits for commercial or industrial development are being sought. The Fox Metro Engineering Department Supervisor participates in City of Aurora Planning Council meetings and other various village planning council meetings as needed. The following is a list of general information, specifications and diagrams frequently requested from the Fox Metro Water Reclamation District Engineering Department. The list is not meant to be all inclusive nor is it intended to represent all specifications, fees, charges, or other requirements of the Fox Metro Water Reclamation District.